Sekiguchi (Japan) and Technicolor Animation Productions (France) have appointed several top-tier regional licensing agents for the new CG-animated series update of classic brand Monchhichi, co-produced by TAP and TF1 in collaboration with Sekiguchi. The companies also announced a roster of new licensing and promotional partnerships in France, Italy and Russia. The new agents include Ypsilion Licensing (Spain) and Monco Creation Limited (China/Hong Kong/Taiwan), who join Maurizio Distefano Advisors (Italy), Plus License (Russia, CIS & CEE), who were also recently appointed. In France, TF1 Licenses has signed several new licensing partners that include Buffalo Grill, the leading casual dining chain in the country with over 350 restaurants, who will launch a month-long Monchhichi promotion in fall 2018; Ravensburger, who will create a range of games and puzzles; and M.L.P. for a children’s apparel line. In Italy, Maurizio Distefano Advisors brokered a deal with Gedis for food; and in Russia, Plus License brokered a license agreement with Dali (eggs + premium). 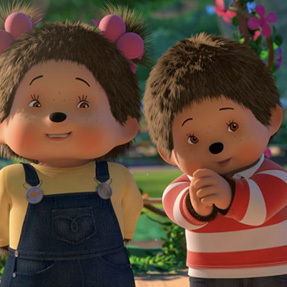 Additionally, PGS Entertainment, the exclusive distributor for Monchhichi outside of France, has signed new deals with Canal Panda in Spain, Frisbee in Italy, Karusel in Russia, and Spacetoon in the Middle East, who will commence broadcast in fall 2018 and early 2019. Silverlit, the global master toy partner for the new series, will be rolling out toys including figurines, playsets and a car in time for holiday 2018 across EMEA in Italy, Spain, Portugal, Finland, Norway, and Russia. The new line had its world debut in France, Benelux and Switzerland in Spring 2018, alongside a range of products from French publishing partners Les Livres du Dragon d’Or and PKJ (Pocket Jeunesse) that include storybooks from PKJ, activity books, coloring books, sticker books, and board books, all based on core characters Kauri, Hanae and Saule. “In addition to the iconic doll, Sekiguchi is very happy to be able to bring a new and large range of products to fans through our partners to serve a new generation who will be able to enjoy Monchhichi as much as their parents did in the ‘80s,” commented Christophe Millet, EMEA Sales and Marketing Manager, Sekiguchi. The Monchhichi series is based on the iconic and lovable plush collectibles that first debuted in 1974 from Sekiguchi. Over 100 million dolls (plus accessories) have been sold in over 40 countries to date. Monchhichi airs in multiple territories around the globe including TF1 (France), OufTivi (Belgium), RTS (Switzerland) DeA Kids (Italy), RTL Telekids (Netherlands), NRK Super (Norway), Minimax (Hungary), Canal + (Poland), and AMC Networks (Czech Republic and Slovakia). The series also had its Latin America debut earlier this year on Discovery Kids in Brazil, and in Mexico, Colombia, Argentina and Chile.